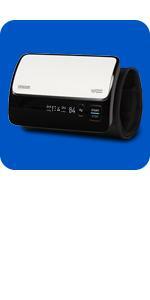 Compatible with Omron’s free iOS and Android apps. Multi-color indicator lights show if your readings is in the normal (green) or hypertension (orange) range. 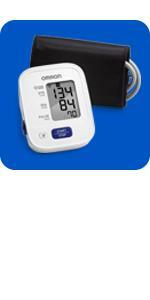 Automatically takes 3 consecutive readings one minute apart and displays the average, following guidelines set by the American Heart Association. Easy-to-read display with extra-large digits & backlight make results easier to read. Omron has married their accurate technology with connectivity. 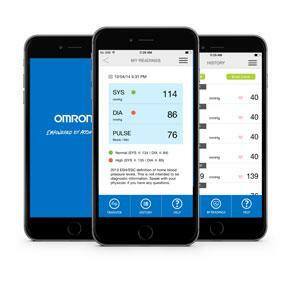 With the free Omron Wellness app, users can wirelessly sync their readings to their smartphone (visit our official website to learn more) so they can know their numbers anywhere, anytime. Prepare for a Reading: Avoid eating, drinking alcohol or caffeinated beverages, smoking, exercising or bathing for 30 minutes prior to taking a measurement. It is also best to rest for 15 minutes before starting the measurement. Avoid taking a measurement during stressful times. Take the measurement in a quiet place. Best Time for a Reading: Try to take readings at the same general times each day (for example, once in the morning and once at night) for comparison purposes. Take Your Position: Sit in a chair with your feet flat on the floor. Rest your arm on a table with your palm facing upward. The cuff should be level with your heart. Do not talk or move during the measurement. 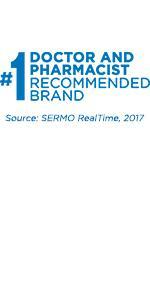 Store and Review: Store and review your readings. 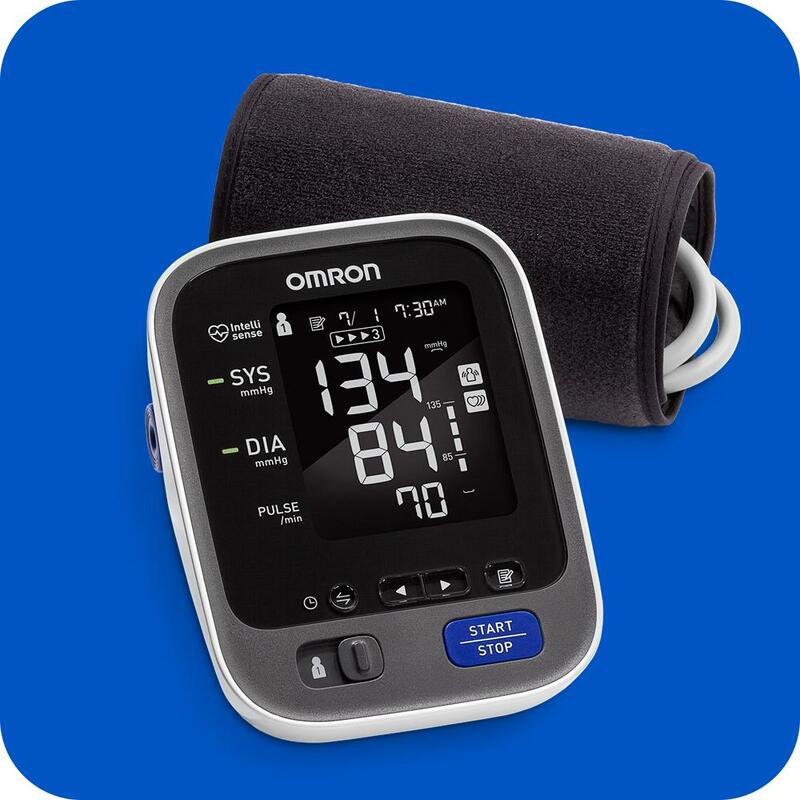 Many Omron blood pressure monitors can store results for later review at the push of a button, so you can share the results with your doctor. 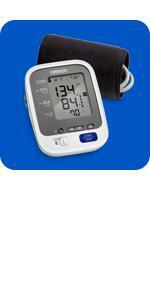 Q: Why do my blood pressure results vary from reading to reading? A: Published studies show that a given person’s blood pressure can change by up to 20mm within a day, based on activity levels, food/drink intake, stress, etc. 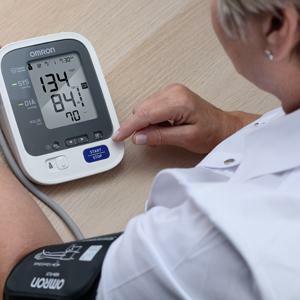 That’s why it’s important to take your blood pressure on a regular basis, and review the overall trend of your blood pressure readings with your doctor. Q: Why are my readings different at home than at the doctor’s office? 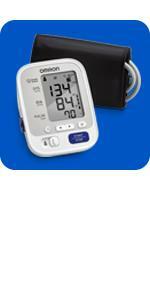 A: Along with the normal variances of blood pressure daily, there are other factors such as ‘White Coat Hypertension,’ a condition in which a blood person’s blood pressure rises above its usual level when it is measured in a doctor’s office or clinical setting. There is also ‘Masked Hypertension,’ in which a person’s blood pressure falls below its usual level when it is measured in a medical environment. Discuss with your doctor to get the best overall picture of your heart health. Q: Can the wrong size cuff affect the reading? 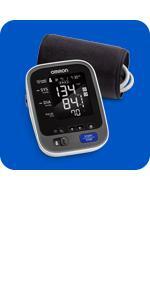 A: Yes, make sure you are using the correct-sized cuff on your blood pressure monitor. 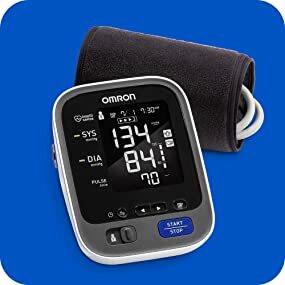 Measure the circumference of your upper arm with a cloth tape measure and select an Omron home blood pressure monitor with the right size cuff. You can also contact our consumer support for assistance. Q: What should I avoid doing before taking a reading? A: Avoid eating, drinking alcohol or caffeinated beverages, smoking, exercising or bathing for 30 minutes prior to taking a measurement. It is also best to rest for 15 minutes before starting the measurement. Avoid taking a measurement during stressful times. Take the measurement in a quiet place. Q: What’s the best position for taking a reading? A: Sit in a chair with your feet flat on the floor. Rest your arm on a table with your palm facing upward. The cuff should be level with your heart. Do not talk or move during the measurement. Q: What’s the best time to take a measurement? A: Try to take readings at the same general times each day (for example, once in the morning and once at night) for comparison purposes.